Choose one off the private registration numbers search box on the right side of this page to browse the millions of private registration numbers, private number plates currently available. Once you have found the ideal private registration number for you or your loved one you can buy on line or secure your chosen private plate over the telephone. If you have any queries do not hesitate to contact us by phone or email. The sales lines are open from 8am-10pm, 7days. Private registration numbers can be transferred directly on to your vehicle. 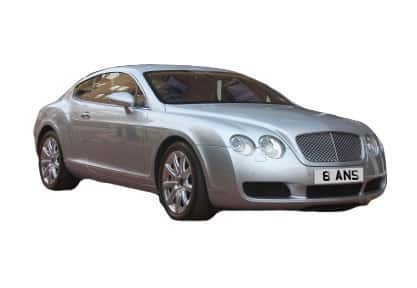 Alternatively we can supply cherished number plates on genuine DVLA certificates valid for up to twelve months. We can handle the handle all the legal administration with the DVLA to ensure the private registration number is corrctley assigned to your vehicle on your behalf, We do not charge for handling the paperwork, most dealers do. As registered DVLA number plate suppliers you can even get the acrylic plates from us at the same time as purchasing your private registration number, saving yourself time, money and inconvenience. Platinum Plates have been supplying private number plates since 1998. A car registration number, Private number plates is an ideal way to personalise your vehicle. All transfers completed via DVLA Registrations uk Vehicle registration offices. Personalised Regs can be used to represent your name, nickname, initials, football team, company, hobby, make of car, birthday, children & grandchildren, professional qualifications etc. If you have any queries or need help choosing a Personalised Reg call our sales team on 0121 353 1110 who will be more than happy to offer advice and assist you with any queries. Existing owners of private registration numbers can get free no obligation valuations on our cherished number plate valuation page. Once you recieve your valuation you can instruct us to sell a number plate using the form provided.